The creative team behind Guinness' VR beer tasting explains how they made the campaign launching across Tesco stores in the UK. Guinness is bringing a virtual reality beer tasting experience to Tesco stores across the UK in a campaign by R/GA London. As customers taste three new beers, they are immersed in an abstract environment where they experience colors, textures, movements and sounds that are meant to enhance the flavor profiles. The voice of Peter Simpson, master brewer at the Guinness Open Gate brewery in Dublin, guides users through the tasting. 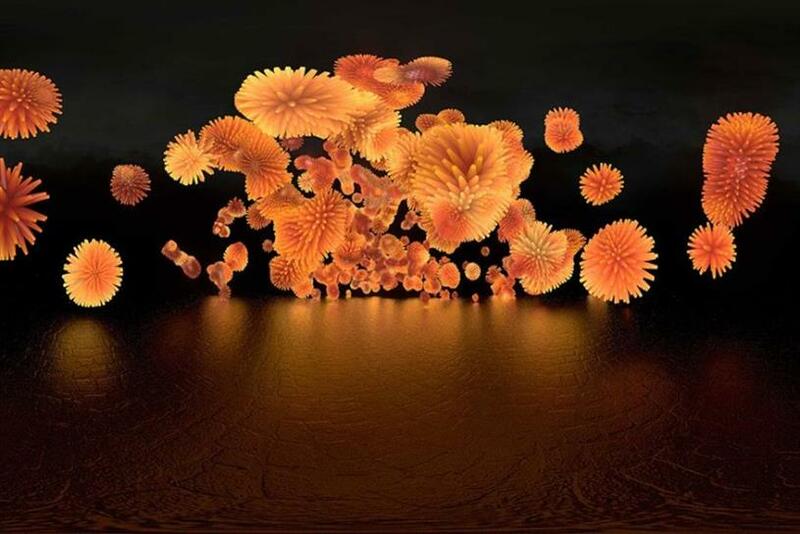 R/GA consulted food and flavor scientist Professor Charles Spence to design the experience, and MPC created the animated visuals and sonic environment. The creative team behind the campaign, Paul Calway and Adam Collins, explain how they came up with the idea and pulled it off. Guinness is an innovative brand, and we wanted to bring the taste of their beer to life in an innovative and meaningful way, hence VR. Originally the idea was to create a virtual reality brewery tour, which we felt wasn’t using the platform to the best of its ability. We took the essence of this idea – learning and understanding more about the beers – and looked at how we could bring this to life in more of a visceral way. The Open Gate Brewery is Guinness’ home of innovation, where they experiment with different flavor combinations. Partnering with leading food psychologist, Professor Charles Spence, we set out to create an immersive story of innovation that highlighted the diverse and unique range of beers Guinness offers. The Guinness VR experience is based on the confluence of all senses at once – a first for a branded VR. We felt from the start that to achieve this we should show abstract forms that felt fleeting, yet somehow tactile and present at the same time. Since all of the senses needed to work together, we also knew that we would need time to experiment and develop the look and feel in a way that could be iterated quickly. We chose to develop in Houdini, which gave us a reliable pipeline to develop smoke and liquid simulations as well as procedurally generated and growing structures. 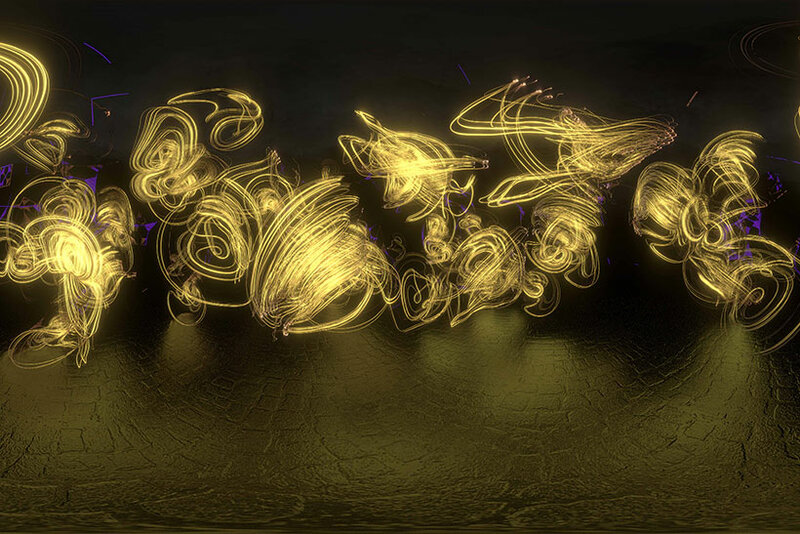 These were then rendered in Mantra using custom procedural shaders that we created. Lastly, compositing was done in Nuke, which allowed us to work smoothly with stereoscopic 360º content. Once the visuals were set we worked with 750mph to create bespoke soundscapes that further heightened the aroma and flavor profiles of the beers. The biggest challenge was drinking beer at all times of the day to ensure the science was working effectively! Paul Calway is senior art director visual design, and Adam Collins is associate creative director at R/GA London. Why was the Guinness VR experience a good fit for the brand? We’ve never stopped innovating around beer, flavor perception and technology. VR is an engaging way to bring the flavor profiles of our beers to life. This is a first for Guinness – translating our tasting experiences into VR for shoppers is unique, as far as we can tell. What made you open to the idea? R/GA found visual and audio cues that truly enhance specific flavors in our different beers. It seemed like something that any beer drinker would love to experience. What are you hoping to achieve from the VR in-store experience? We hope shoppers appreciate Guinness beers in a new light – and maybe like a beer they wouldn’t have thought to try otherwise. What’s next for Guinness in innovative marketing? We’re developing an update to the VR experience for consumers in the US and Singapore.